Dayton was just a lil' one when he arrived from the Fallon feedlot in July 2009. He was a nursing colt, only about a month old. He came with his mom, Sierra, and adopted brother Clayton. Clayton was orphaned when his mom shipped to slaughter. Dayton and mom took Clayton in under their wings. All were sickly and malnourished, but with special care by AAE volunteers, they all survived and eventually flourished. It didn't take long, Dayton became best friends with one of our youth volunteers when she helped him learn about halters and lead ropes, humans holding hooves, respect (ha! ), and all the other horse-human activities that go along with horses living in a human world (aka, umbrellas in the rain). The bittersweet day came, and Dayton was adopted. Our story of young love came to a halt. Due to an unfortunate family health crisis, Dayton returned to AAE in 2013. He's baaack, but my goodness, now he's the BIG man on the block! 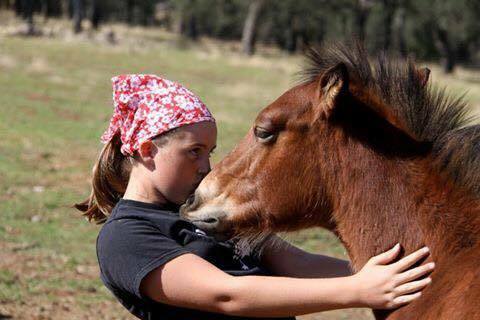 Because of his gentle giant nature, our volunteers adored him, and he earned a job at AAE as a program horse. Dayton called AAE home for several years, but a secret wish held hope that one day the dynamic duo would be reunited. While back at AAE, the younger horses naturally gravitated towards Uncle Dayton and Grandma Sierra for comfort and leadership. Grandma Sierra wisely taught them their manners and proper horsey behavior, while Uncle Dayton was the big character that played along with the kiddy antics. This year, a big dream came true. With hard work and determination, Dayton's "girl" made it possible to bring Dayton home. It was an adoption eight years in the making. From feedlot to forever, congrats Dayton and Liv!